This Forester LE Class C gas motorhome is one of the smaller units of the LE series, so if you have a family of five, this model is definitely for you! Take your family out for a weekend adventure without sparing the amenities of home. 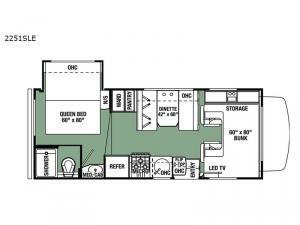 This unit has a nice queen bed to lay your head down at night, a place to cook your meals with the three-burner range top, and a full bathroom with a skylight above the shower. The kids will love having the choice to sleep on the bunk over the cab or the booth dinette that can also fold down into a sleeping space at night. The Forest River Forester LE Class C gas motorhome is what you should be looking at when it comes to tasteful style and design. 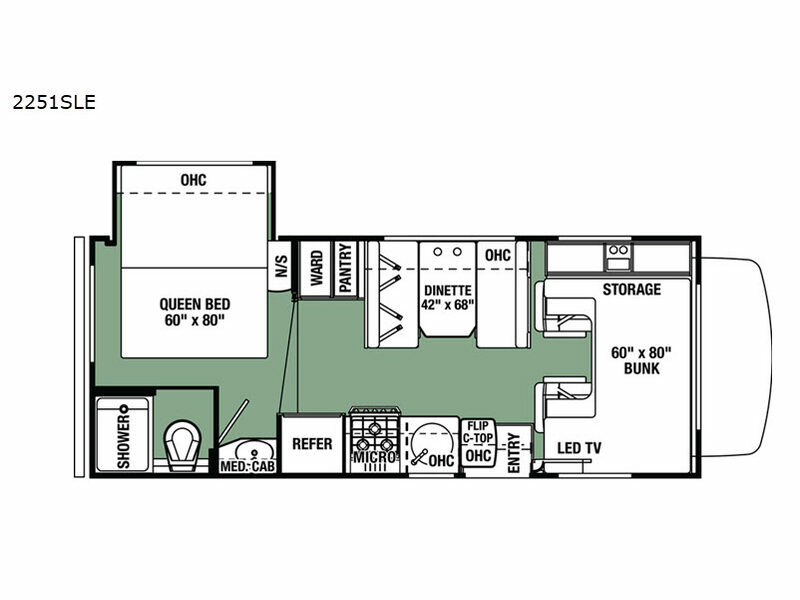 The split-level design allows you to have a spacious living area with a 7' ceiling to accommodate all guests, and the color backup camera will come in handy when parking your RV into your campsite. The interior portion of these motorhomes will have you excited to spend your free time indoors with the well-appointed decor and surround sound. Plus, all of the Forester LE models have been "Certified Green" by TRA Certification.